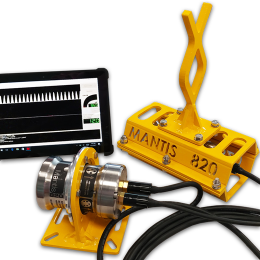 The MANTIS 820 is CDI’s newest product for subsea pipeline pig tracking. 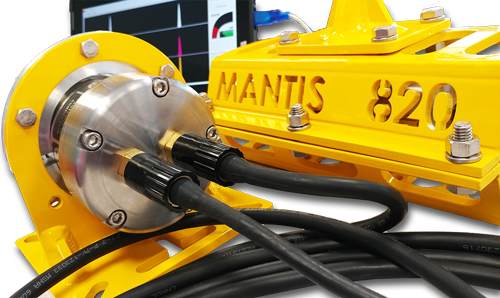 The MANTIS is a deep-water ROV tie-in solution which provides all of the benefits of CDI’s multi-frequency electromagnetic pig tracking in a durable and robust package. The MANTIS 820 may be purchased or rented to use along with our wide family of TRAXALL Transmitters which include 8 ATEX variants. The MANTIS 820 can be used to track moving pigs, locate stuck pigs, or set up trip-wire to monitor for slippage or other movements of pigs. 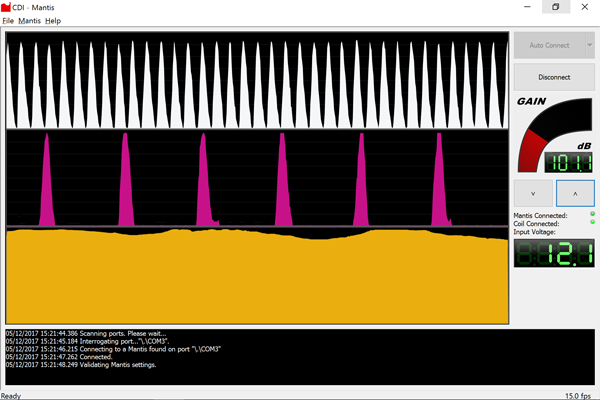 The MANTIS 820 can detect industry-standard 22 Hz and/or CDI TRAXALL transmission frequencies. A typical usage scenario for MANTIS 820 is to affix the data processing electronics housing onto the chassis of the ROV while grasping the electromagnetic antenna in the manipulator arm. A cable links the antenna to the electronics, and the electronics in turn feeds RS-232 data into the ROV’s data multiplexor. Data is fed up to the ROV shack and decoded. Once decoded, the RS-232 signal is input into either the client’s own Windows PC computer or, optionally, into a Windows Surface touch-screen computer provided by CDI. 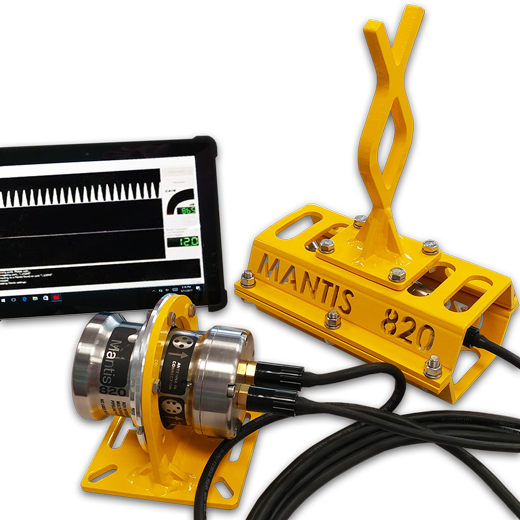 CDI’s MANTIS User Interface software takes the data stream from the subsea electronics package, interprets it, and then simultaneously displays up to three transmitter frequencies. This allows unique and unambiguous tracking up up to three easily Identifiable pigs. Transmitters may either be transmitting continuously or pulsing and one of three frequencies including 22 Hz. As shown to the right, the MANTIS 820 can display up to three distinct tracking frequencies - 22 Hz (in white at the top) plus two additional TRAXALL frequencies. This allows unambiguous tracking of up to three separate pipeline pigs. The MANTIS User Interface software can be run on any Windows 10 computer and is free to download. However, CDI can optionally provide a fully-integrated and pre-tested hardware and software solution for those clients who wish to purchase or rent a more turnkey solution. This PC is a Microsoft Windows 10 Surface touch-screen computer which comes pre-loaded with our MANTIS UI software and with the necessary USB to RS-232 data conversion hardware. 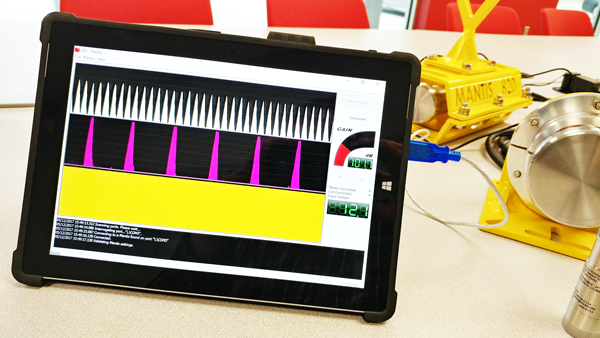 This solution allows the ROV operators to set up and get to work with the least amount of setup time and disruption. and the required USB/RS-232 converter hardware.